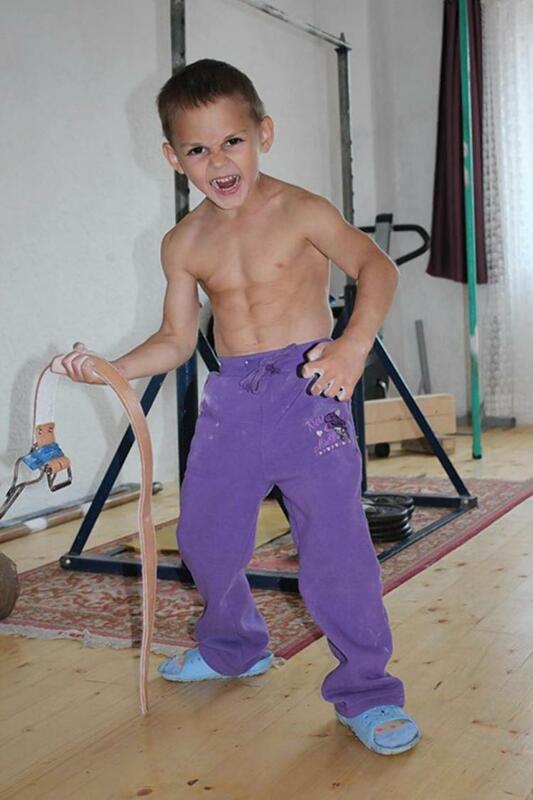 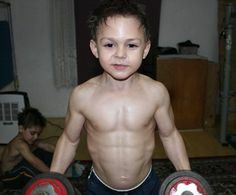 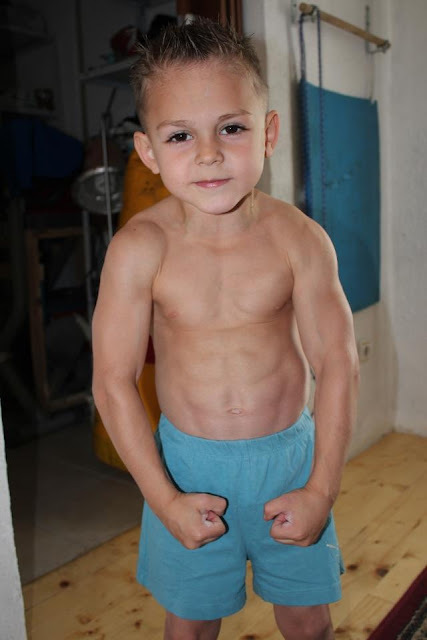 Giuliano Stroe, the world's youngest body builder. He is a 5 year old boy from Romania. 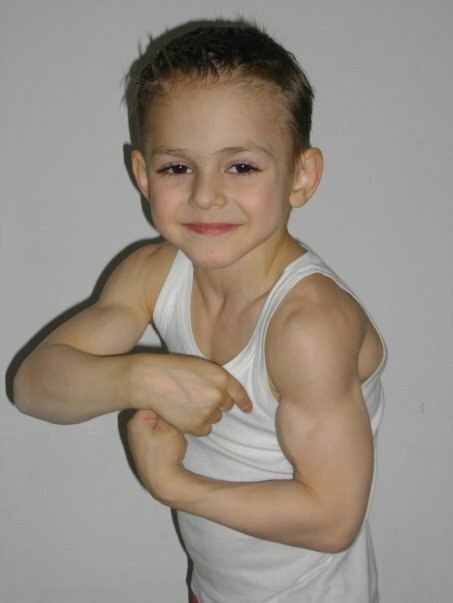 Listed in the Guinness Book of Records.